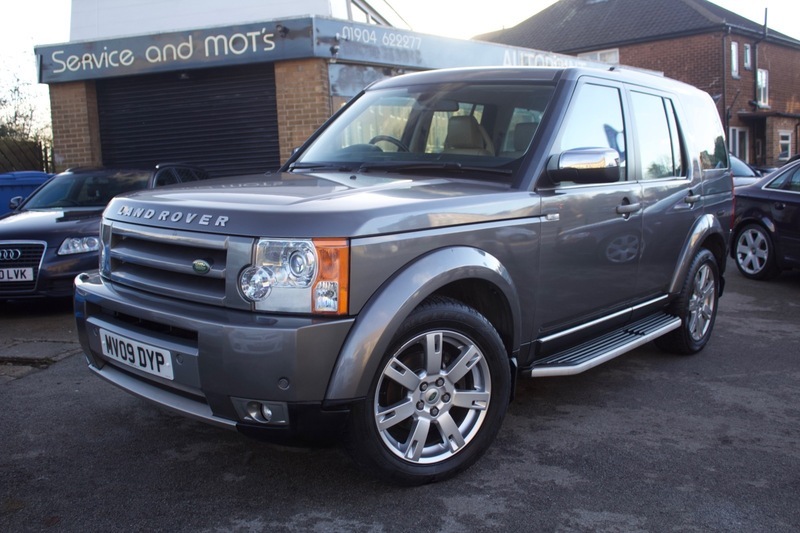 Here we have our Land Rover Discovery 3 TDV6 HSE finished with the super rare Dynamic Bodykit. The Disco benefits from full leather interior on all 7 of its seats. We have service history and only 3 owners. The Land Rover also comes with ABS, Audio Remote, Audio controls in all 3 car sections, Harmon Kardon Sounds System, Alarm System, Alloy Wheels, Electric Mirrors, Heated Mirrors, ISOFix, Climate Control, Cruise Control, Electric Memory Seats, Electric Sunroof, Front Fog Lights, Headlight Washers, Heated Seats, Lumbar Support, Metallic Paint, Parking Sensors, Roof Rails, Sat Nav, Space Saver Spare Wheel, CD Player, Bluetooth Connectivity and Steering Wheel Controls. The car also comes with MOT, 12 months Service, Warranty, Free AA Cover for a year and Pre Delivery Inspection Report.